Congratulations to Dr. Kimberly Underwood, University Research Chair of the Center for Workplace Diversity and Inclusion Research. 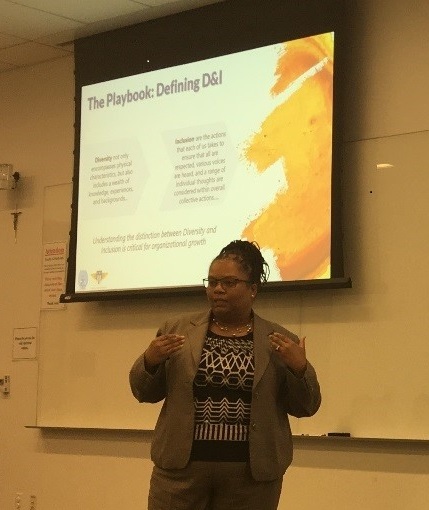 Kimberly recently completed her program, Executive Certificate in Strategic Diversity and Inclusion Management, and received full certification from Georgetown University. Designed for executives and leaders, this advanced certification focuses on strategic and sustainable approaches to diversity and inclusion management. She plans to use her certification to strategic position her research center as one of the leading centers for diversity and inclusion research. You can read more about this specialized advanced training here >>.